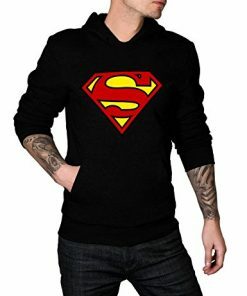 Red Hood is among my favorite characters and as a man in 30s, I bought this hoodie for casual wear. I am so much delighted that my young sons and daughter love to see me in this one. I found the material to be snug fitting, and the hood is indeed a very great feature. My advice is that all the men like me must have this! Perfect Size, just the drawback was the shading on the image. The red in the photo is bolder than what you wind up getting. If you are anticipating that it should be a brilliant striking red this will disappoint you. Stickers to me were only a reward, not planning to utilize them yet its a fun expansion. For all the fans of Arkham Knight, here comes a hoodie that is inspired by the Red Hood and features the logo the center of the chest area. The Arkham Knight Batman Hoodie Mens is black colored and crafted from a mix of cotton and polyester. 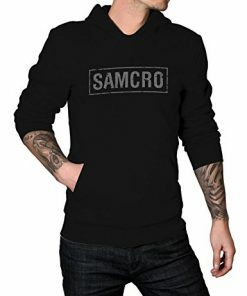 It has one pouch pocket along with rib-knit cuffs on the sleeves. The outfit overall gives incredible looks when worn.